Robert Englund has a rare turn as a mild-mannered man in this grisly story of a play that comes to life. Englund stars as disgraced actor John who has had a drinking problem and one time got physically aggressive with someone. No one will hire him except for a director who has the perfect role for him, the one catch is no one has met the director or read the script. Taking a chance on it because no one else will hire him, John goes to meet the mysterious director and meet his fellow actors in the play now known as Kantemir. The director owns a book that is supposedly the aforementioned play. Anyone who touches the book becomes more involved in their roles as if they fully believe they are the characters they are set to play. The only person who sees what is going on is John but who will believe a former drunk with an outlandish tale. 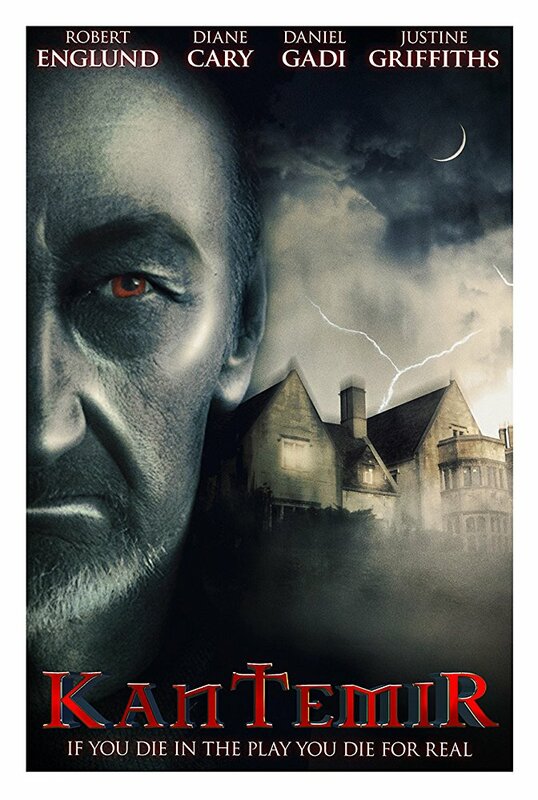 This is an unusual film to watch if you are a fan of Englund's former work as here he is more composed and seems restrained from his usual over performing antics. The film itself plods along at an even pace which can either be seen as a slow build or as most people will see it dull. You can't help but watch KANTEMIR and think they were trying to make a modern take of CURTAINS (1983) which is a far superior film. It is an interesting idea and everyone plays their roles well but fans of Robert Englund will find themselves wanting to watch A NIGHTMARE ON ELM STREET film instead.